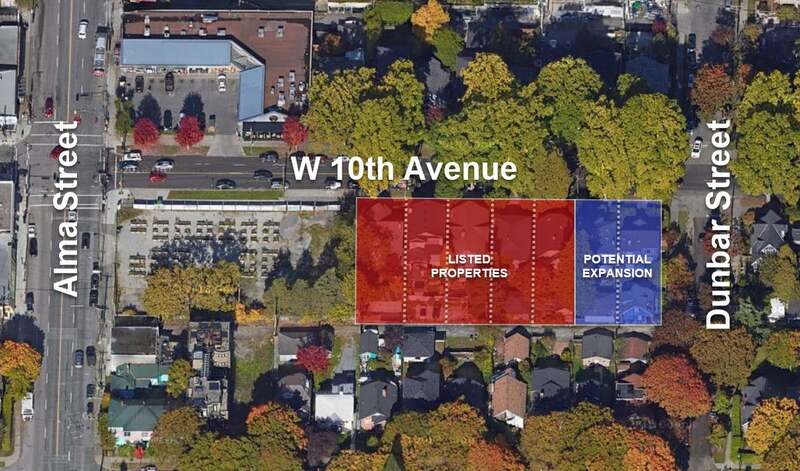 LAND ASSEMBLY - MLA Realty is pleased to present this exclusive opportunity comprised of 5 separately owned single-family lots on the south side of West 10th Avenue between Alma and Dunbar Streets. Situated in a desirable area of Vancouver’s Westside neighbourhood, residents enjoy an excellent lifestyle including beaches, parks and shopping. The Property offers excellent access to public transportation and is centrally located - 7 minutes to UBC, 15 minutes to Downtown Vancouver. The Property is eligible to be rezoned to allow for 4 storey market rental housing under the City of Vancouver's Affordable Housing Choices Interim Rezoning Policy, or hold for future potential increased density once the Broadway Plan is finalized. 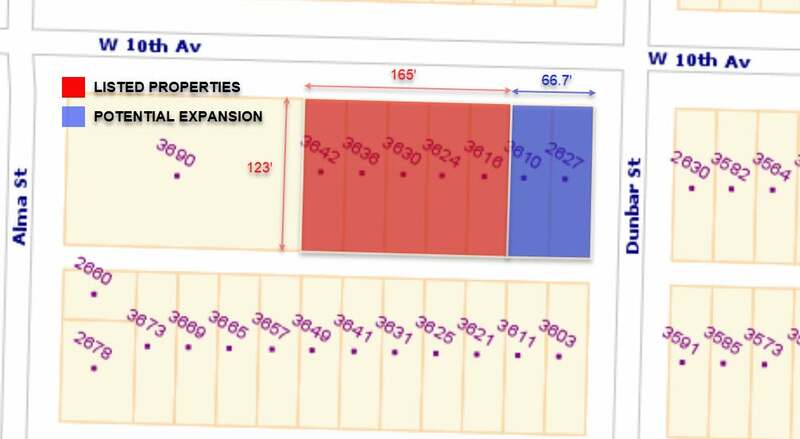 Lot Size 20,308 Sq. Ft. 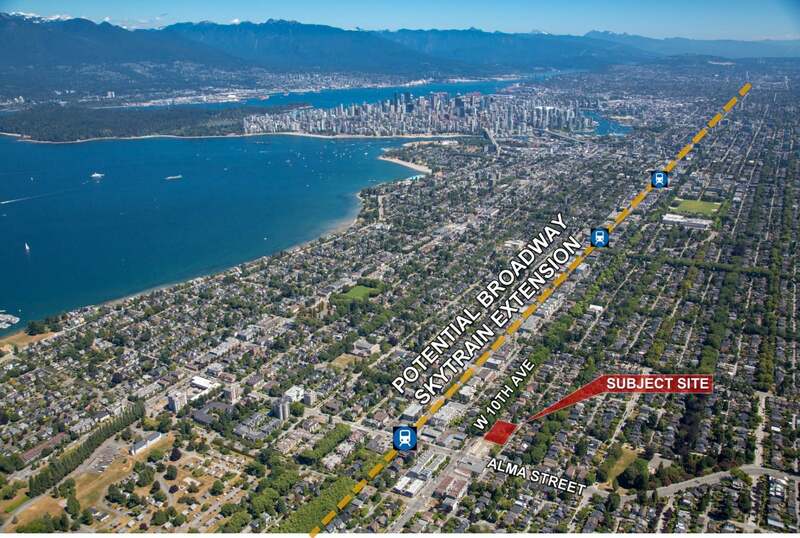 Please send me more information on 3616, 3624, 3630, 3636, 3642 W 10th Avenue, Vancouver West. Thank you.